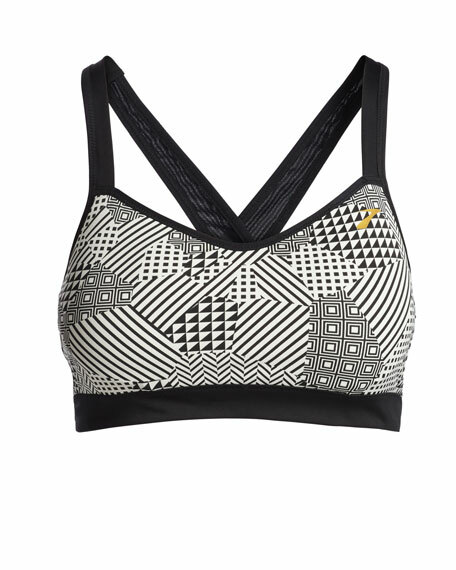 Brooks "UpRise" sports bra in microfiberideal for A/B cup sizes. Powermesh straps crisscross at back. DriLayer® Adapt moisture-wicking band under bust. Powered by running enthusiasts, Brooks designs its activewear with passion and expertise. Its range of products offers something for every type of runnerfrom the marathoner to the weekend jogger. Run hard, run happy. For in-store inquiries, use sku #1969170.